Time to Make a Deal with Osama bin Laden? 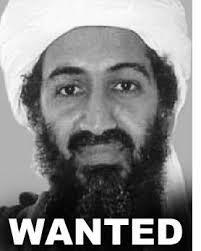 Owing to the fact that far too much Muslim blood is being shed in the war on terror, I say it is time to make a deal with Osama bin Laden. Let's work to end the hostilities and bring our troops home. Here is my bid to the brutal rag head: America will give bin Laden the Clinton Memorial Library, including the “What Is Is?” reference section, 30 million illegal aliens currently squatting in America, and all "Blue" states except California. Actually, once illegal aliens are deported to caves in Afghanistan, California will automatically revert to being a "Red" state where English will again be understood in restaurants, car washes, the Department of Motor Vehicles, liquor stores, and hospital emergency rooms. In exchange, Osama agrees to switch his voter registration from Democrat to independent, and further agrees not to kidnap Howard Dean or vote for Hillary Clinton in 2008. We conservatives need Howard Dean around in order to regain the Congress and keep the White House. If Osama balks at this offer, America can agree to throw in the federal Department of Education, the ACLU, and Nancy Pelosi to close the deal.